I don’t feel the presence of ghosts. 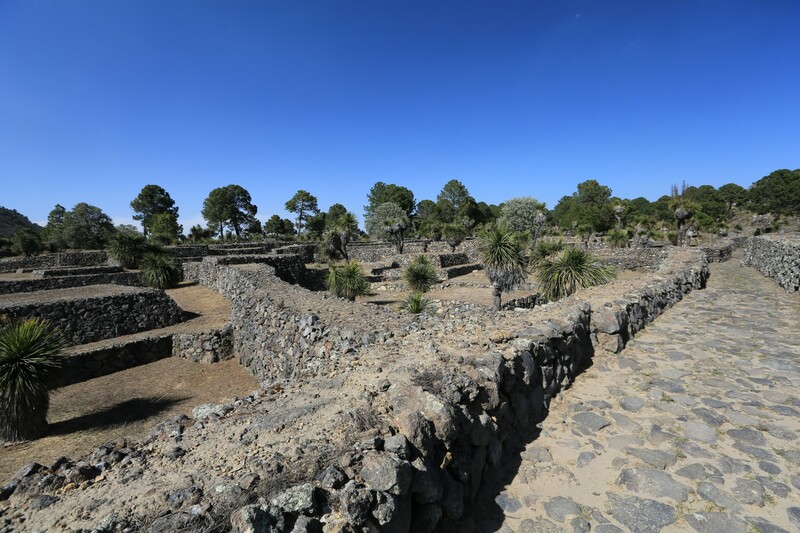 I know many people do and I don’t totally discount it – I just dont, but, if I were ever to feel the presence of ghosts it would have been here in the ruins of the ancient city of Cantona about 100 miles away from Puebla, Mexico. Let me explain why. First, I love going to see ruins in Mexico (or wherever). I loved reading about pyramids in Egypt when I was a kid. However, every other ruin that I have visited has always left me with the same thought – that there was a real disconnect between people living in that place, and that place. The temples and buildings at Uxmal where Katie and I went were astoundingly beautiful and cool – and yes – they told us all about the priests, the ball court games, ceremonies, etc but – I may as well have been looking at a UFO in terms of actually being able to visualize people using that space. We don’t really do any of those things now a days and I just couldn’t turn it into a mental picture of the place actually in use. 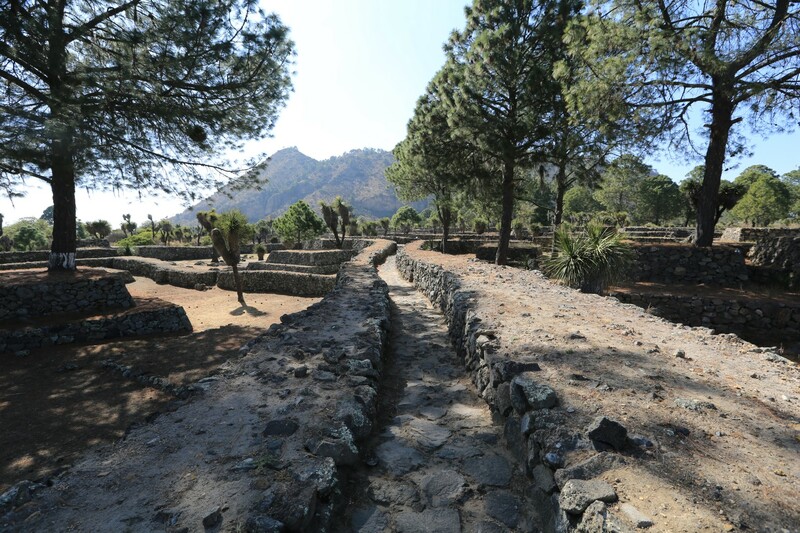 At Cantona there are pyramids and temples – for sure – but there is also a complete city. The actual dwelling structures apparently were made of biodegradable material but their well defined streets and property lots – walls, boundaries, neighborhoods – they are all in place with no confusion of what you are looking at. Now I haven’t explained some of the nuts and bolts of this place. The portion of the city that has been excavated covers 5 square miles. It is massive. It takes a minimum of 3 hours to walk through if you are going to check out the whole place. There is no way to capture even 1/10th of it in a single photo. Every photo I posted here is just a small slice of it – just like trying to show the size of a modern city by showing a few blocks it’s not possible and I didn’t have my helicopter with me. 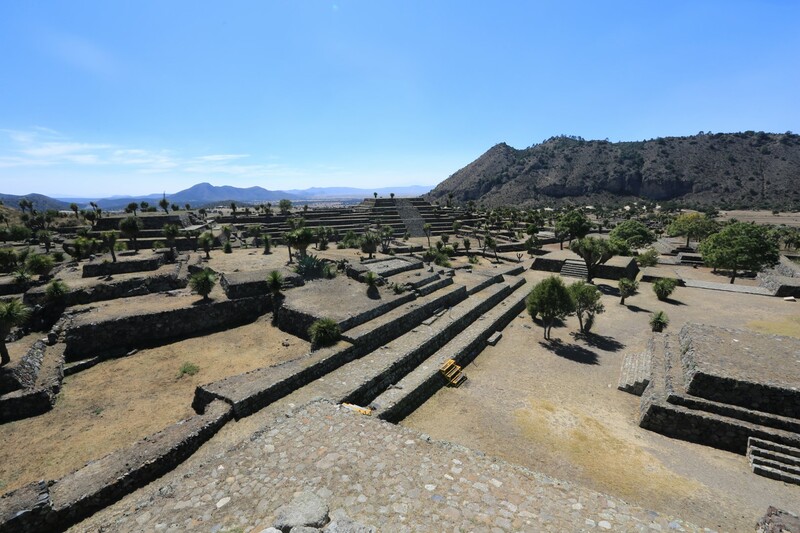 It’s the largest urban center from Mesoamerica that has been discovered. It’s also in pristine condition. This city was under way starting in 600 BC and was in operation until around 1200 AD. There were thousands and thousands of people who actually lived here. They call what I would call “Lots” ‘patios’. They believe that each patio was occupied by an extended family with anywhere up to 30 people. There are at least 3000 lots and they are all connected by a series of walled roads. There is no way to navigate the city without using the roads (just as you wouldn’t walk through people’s property in our cities so it works here. Here’s the kicker. I was literally the only single tourist there and nearly the only person. There were I think 4 employees/grounds keepers but I hardly ever saw them. I was effectively alone in a city where thousands of people once lived. It was without question the quietest place I have been in Mexico. I was able to sit and think and I could see the people living their lives. I was thinking about people walking and knowing where another family lived and going up the street to visit them. I could picture all of it and it was just amazing. Not to go too deep but – I did go really deep while I was there – it was impossible not to – and I couldn’t help sitting there looking at this clearly deliberately planned urban space and the intricacies of it all. The systems that clearly needed to be in place in order to make some place like that run and function for nearly 2000 years and I had to just laugh sadly at the hubris of the European Judeo/Christian idea about who was and was not civilized in the world at the time. I won’t touch that any more. It was an amazing place and a token of human history that I am so lucky that I am one of apparently only a few modern humans have gotten to see. I have no idea why this place isn’t mobbed with tourists like the other big sites but I am certainly glad it’s not! If you ever make it anywhere near Puebla do NOT miss this place. It’s a 2 hour drive and worth every second of it and then some. Cantona partial overview with volcano in the background. This is more like other sites – the ball court apparently was a big part of life. Mark, I believe I was there when I made the trip to Mexico. I remember the village, but most of all, I remember the pyramids. Unless there’s another place close to Mexico City with pyramids. This is it. The reason I remember the pyramid so well is we climbed to the first level, and had to go down on our butts. It was really scary the steps were so narrow, yet they had a very high rise between them. The view was magnificent, but all I could think of was getting back down. Of course, in the 70s, I wore 5 in. clogs. Very cool Mark thanks for the awesome pics! WEll it looks like you’re not wasting time sitting around while waiting for your car to be done. How much longer is that going to take and will you be able to catch up with Katie and get to Trinidad? I will say a prayer that you don’t encounter anymore difficulties like this but it certainly looks like time well spent. I wasn’t going to let it completely stop me 🙂 I rented a car and got to do a decent number of things and now we got the rv back and got it to a storage in puebla. Not the original plan but I am now on my way! SO Glad the whole RV thing finally worked out !! And yes, I agree you certainly have changed my preconceived notions of Mexico and Mexicans! very interesting – guess this means I shouldn’t rely on mainstream US NEWS to shape my opinion of the world? LoL !! You and me both!!! I can say that from what I saw just about every stereotype about Mexico and Mexicans is seriously way off target!